ESPN is no longer available through an aerial. The service, which was available on channel 34 for Top Up TV and BT TV viewers, closed at the stroke of midnight, marking the end of Top Up TV's spell as provider of premium sport on digital terrestrial television. It follows exactly a month after Sky Sports 1 and 2 were withdrawn to free up terrestrial TV capacity for BT Sport 1 and 2 for BT TV viewers outside of the fibre broadband (Infinity) network. 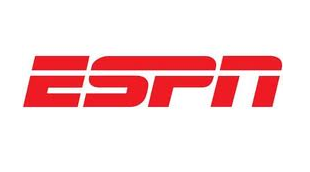 ESPN used capacity controlled by Top Up TV, and was not available 24 hours a day. The closure also marks the start of ESPN UK under the control of BT. From today, ESPN UK and its HD counterpart form part of the BT Sport channel package, available direct via BT for viewers with Sky and BT TV. Existing subscriptions through Sky and Virgin Media have expired. Sister channels ESPN Classic and ESPN America have closed. On Virgin Media, ESPN channels will be withdrawn until a deal with BT is reached. There are last minute discussions taking place between the two organisations, so far without a deal. According to BT, ESPN will not be available to viewers with BT TV outside of BT's Infinity network area. All other BT TV viewers will now be able to watch the channel on 509 (512 HD).